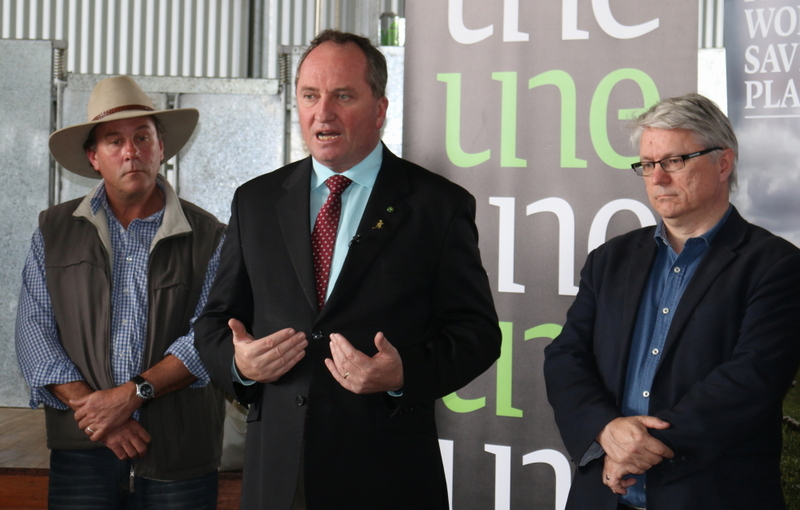 Minister for Agriculture and Water Resources, Barnaby Joyce, made the announcement at the UNE campus today along with Professor Iain Young, Head of the School of Environment & Rural Science, and Professor James Rowe, Chief Executive of Sheep CRC. 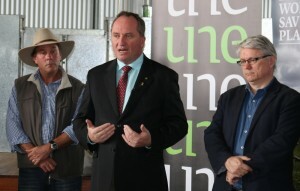 “UNE is at the forefront of developing the best technologies for agribusiness. This new money will allow us to develop state-of-the-art on-farm and in-Cloud technology for the nation’s sheep farmers,” Prof Young said. Prof James Rowe added that this automated system, which integrates data-capture, storage, sharing and analysis, will underpin more efficient production systems, improved animal wellbeing and smarter marketing. “There are a number of technologies already available, such as semi-automated measurement systems and electronic identification, that are limited in their uptake due to the lack of integration with other operating systems and the difficulty in getting the most value our of the data,” Prof. Rowe said.